Welcome to "Lazy Video Friday" here at the Farmer Fred Rant! Mid-winter is bare root planting time here in most of California (sorry Truckee). Roses, fruit trees, nut trees and berries are bare root bargains this time time of year. 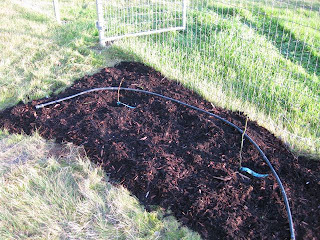 We've talked about how to plant bare root trees and berries in a previous post. Bare root labels are printed on notched, thin strands of flexible plastic. And that flexibility is a temporary condition. By Year 2, if you try to pry loose that label because it's girdling the stem, it'll probably crack off. If you don't loosen it now, it may get swallowed up or snapped by the expanding trunk. If you want to read that label in a few years, loosen it now, at planting time. And, it's good insurance to write the varieties down in a garden diary (a daily calendar book does nicely; we've been filling the same one since 1990). Trust me, you won't remember what it is if you don't; I've learned from experience. I've got a yard of many mysteries. 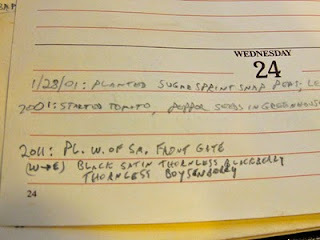 Late January and early February is the ideal time here in Northern California for starting tomato and pepper seeds indoors. 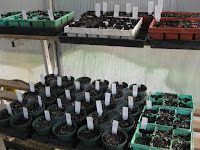 And while you're at it, why not start a few others, such as more cool season leaf crops and summer annual flowers from seed. 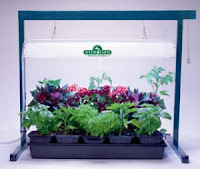 Those leaf crops (lettuce, spinach, chard) can be transplanted outdoors after about three weeks worth of growth indoors (take a few days to gradually introduce them to the outdoors, perhaps bringing them and their containers back in at night). Those tomato and pepper plants, along with the summer flowers you started from seed? Keep them protected, indoors, until mid-April. 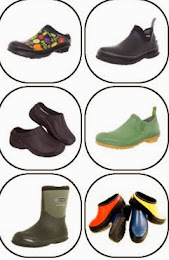 Then, gradually acclimate them to the outdoors as well. 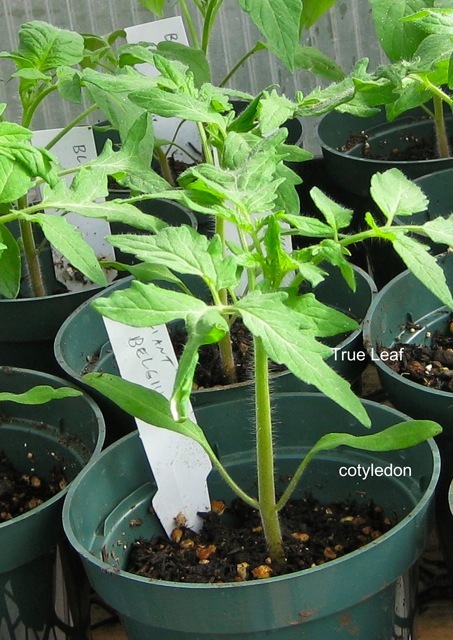 The main problem with outdoor planting of tomato and pepper plants this time of year? 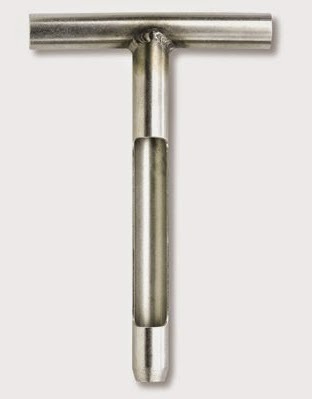 Soil temperature. Those summer vegetables do not start actively growing until soil temps reach the mid-60's, and don't really take off with food production until soil temperatures are above 70. Right now? Soil temperatures are hovering around 50 degrees here in the Sacramento area. Another good reason to delay outdoor planting of those young vegetables until late April-early May: the wind. March is a very windy month in the Central Valley, with northerly winds hitting 20-30 miles per hour, for several days. 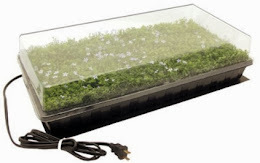 • Seed heating mat (optional). 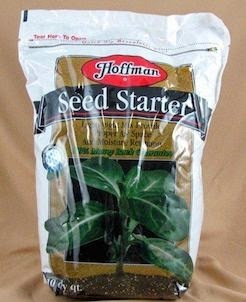 If you are worried that the mix you are using is too heavy, you can help your seeds get off to a good start with bottom heat, via a seed heating mat. 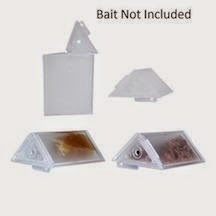 These are especially useful for germinating pepper seeds, which need higher temperatures to germinate. 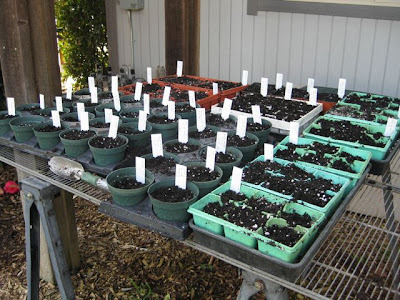 Put the seed starting mix in each pot or flat, and then thoroughly soak it. Although it isn't necessary for starting seeds, you can add a diluted liquid fertilizer at this time. I tend to use fish emulsion (5-1-1 NPK) and a sea kelp product, which promotes root production. 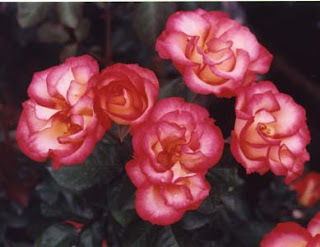 Generally, there is no need to fertilize until the seed has produced two sets of true leaves. Yep, another year of too much. 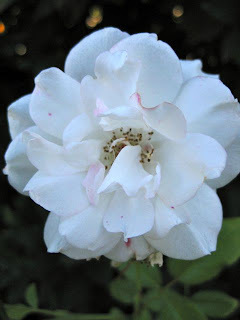 One of my favorite blogs to follow is "The Garden Professors", a collaboration of horticulture experts from Washington State University, Michigan State University, University of Minnesota and Virginia Tech. They could easily subtitle their blog, "Everything You Know is Wrong". 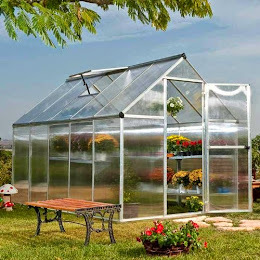 The postings there have included such topics as the wrongheaded practice of heading back trees in nurseries, how alcohol stunts plant growth, using fabric softener sheets to thwart fungus gnats or linking to how-to garden videos that will make you cringe. 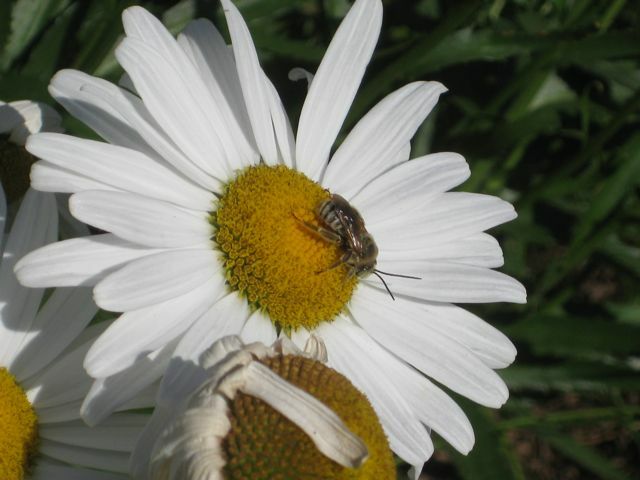 In a recent posting, Linda Chalker-Scott , Horticulture Professor at WSU, compiled extensive research findings on the relationship between excessive fertilizers and plant susceptibility to pests and disease. 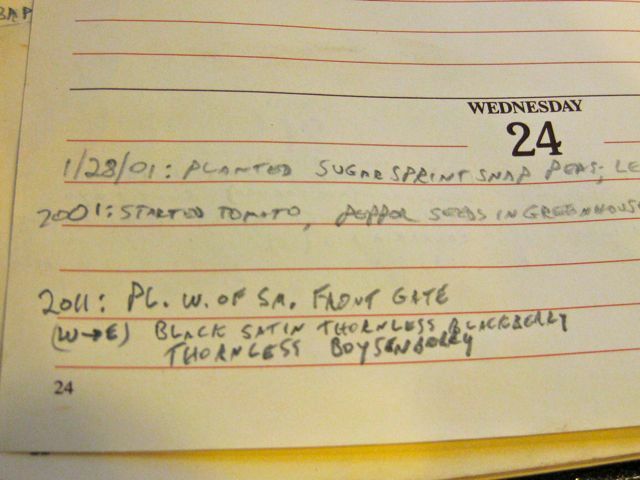 Her conclusion: like too much candy given to children, too much fertilizer will sicken your garden plants. 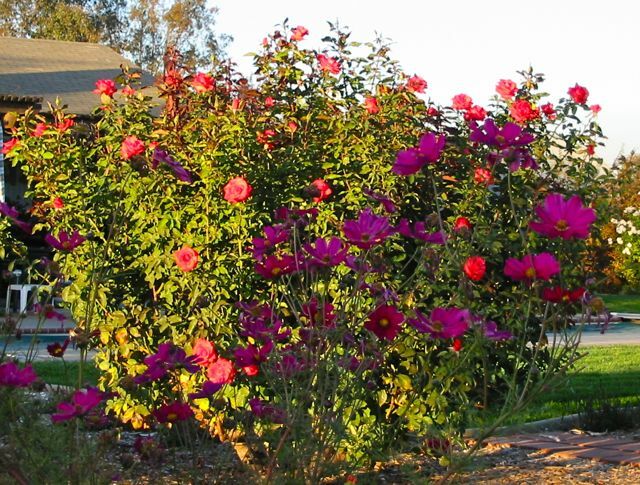 Her more surprising solution: just feed your landscape trees and shrubs mulch. 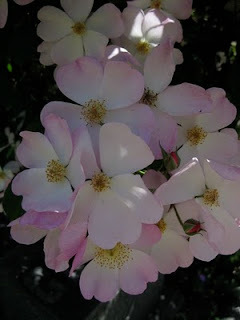 "For routine landscape needs," she reports, "use woody mulches rather than fertilizers and nitrogen-rich composts. This 'slow food' approach not only benefits your plants, but provides ideal habitat for mycorrhizal species, which have been shown to help restrict root uptake of excessive nutrients, while assisting with uptake of less available ones." And another little gem hidden in that quote: mycorrhizae actually help plants avoid overeating (where are they when I need them?). 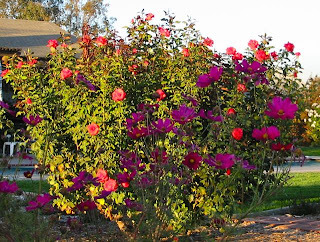 What about annuals, especially garden vegetables? 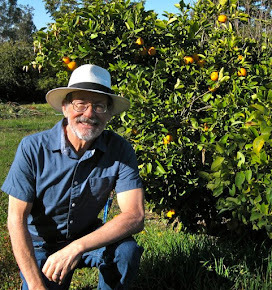 Another of the "garden professors", Jeff Gillman of the University of Minnesota, cautions against using "balanced fertilizers". The problem? When using a product like a 8-8-8 or 10-10-10 or 16-16-16, you may be adding excessive amounts of phosphorus and potassium to the soil, which is then susceptible to runoff, polluting our waterways. "I like a ratio of about 5-1-2 or 5-1-3 for an N-P-K ratio in a general use fertilizer," says Gillman. The only improvement I would like to see to that blog would be to change the way to search for previous entries. The right sidebar lists the blogs by month, with no dropdown menu of titles. 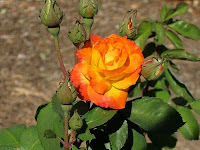 Even though their categories of "recent posts" and "by interest" is helpful, a more detailed list of titles would help gardeners find some of the best researched information for their garden problems. 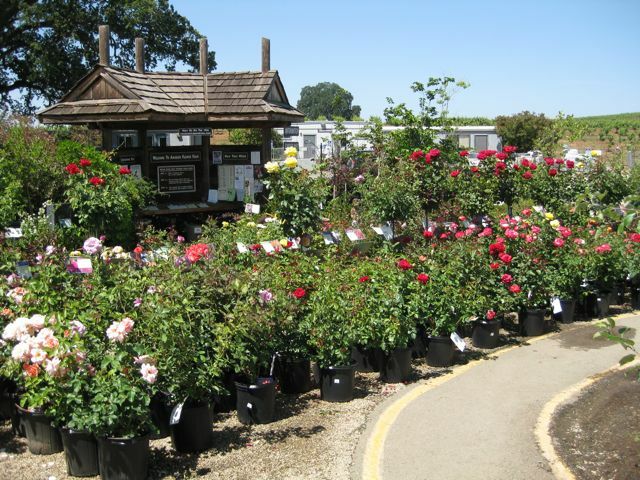 It's a common site this time of year in Northern California: gardeners with sprayers in hand (or on their back), applying weedkiller to the unwanted greenery that has popped up around their desirable plants. 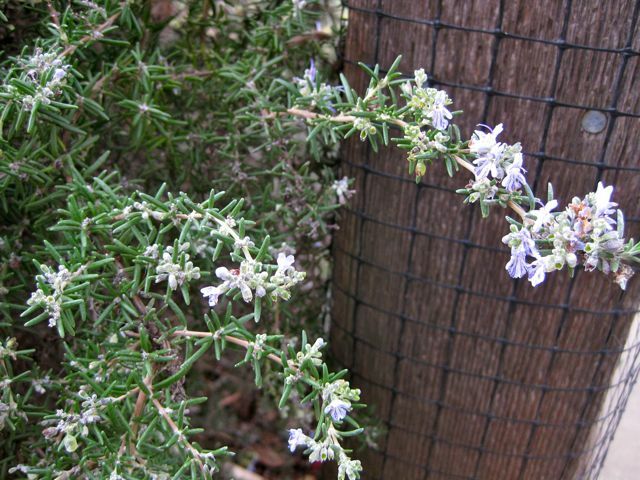 Winter would seem to be a good time to do this: cool-season weeds are easier to control when they are small and actively growing; around valuable deciduous plants, there is less danger of the spray accidentally hitting the leaves (there aren't any); and, those new, green weeds are like a flashing freeway sign in a drab, brown landscape, screaming "Nyah, Nyah, Nyah! ", taunting us into action. "An in vitro study indicates that glyphosate formulations could harm earthworms and beneficial insects. However, the reported effect of glyphosate on earthworms has been criticized. 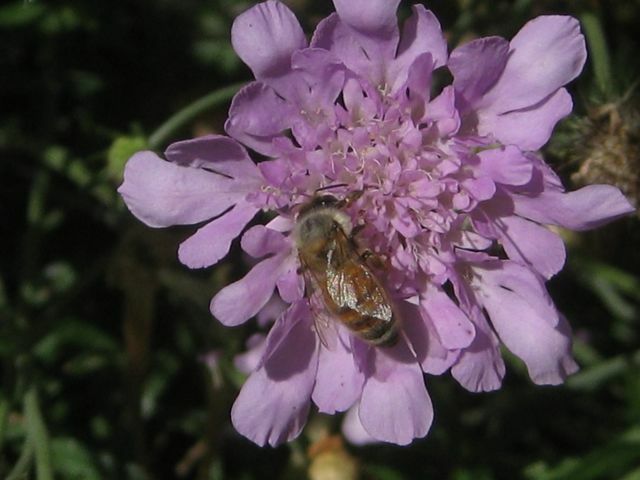 The results conflict with results from field studies where no effects were noted for the number of nematodes, mites, or springtails after treatment with Roundup at 2 kilograms active ingredient per hectare. Glyphosate can negatively affect nitrogen-fixing bacteria, and increase the susceptibility of plants to disease. A 2005 study concluded that certain amphibians may be at risk from glyphosate use." Sure, you've read the instructions on how to mix it and how much to apply. And you know not to spray it on desirable foliage. The point here is to make you aware of some of the instructions on the label that you may have overlooked. Much of this information is taken straight from the 13-page instruction book that comes with Roundup Pro. Of course, rule number one always has been: READ AND FOLLOW ALL LABEL DIRECTIONS. I know, I know...you started reading the first sentence, and by the time you got to the third line, it was all, "blah, blah, blah". But note a couple of items in that paragraph. It doesn't specify to avoid spraying desirable leaves; it says to avoid "desirable vegetation". And sure enough, there are enough thin-skinned trees and shrubs out there through which that wandering mist can attach itself on a windy day. 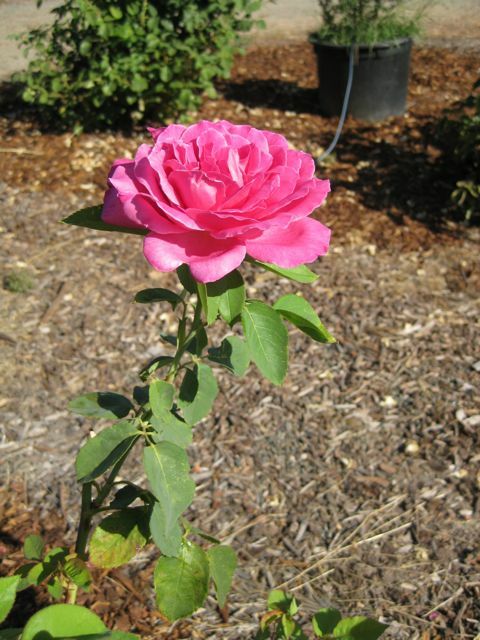 This is what a rose looks like, months after the green stems were hit with errant glyphosate spray. 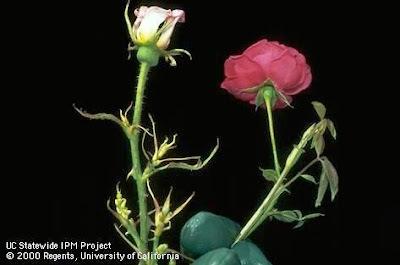 At it isn't just a wintertime weed killer application that could hurt roses down the line. According to the UC Integrated Pest Management Program: "Glyphosate damage may appear at bud break the following spring after a summer or fall application that contacts leaves or stems; symptoms include a proliferation of small, whitish shoots and leaves." And how many times have you seen gardeners in a hurry, rushing down a row of plants, sprayer close to the ground, attempting to decimate a line of weeds at full speed? That increases the chance for spray drift. How many times have you seen someone spraying weeds on a winter's foggy day? 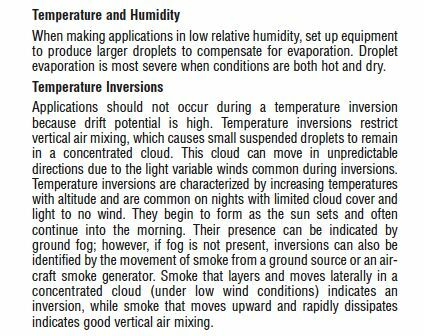 That's a temperature inversion! Don't spray on a foggy day, because, as the label says: "drift potential is high", due to the droplets remaining suspended in a concentrated cloud. Hmm, I guess you might be inhaling some of that on a foggy day...possibly? Many gardeners know about using glyphosate as a stump killer of an unwanted woody tree or shrub. Make the cut, then immediately apply the glyphosate at a high rate of concentration. But wait a minute...what's going on underground? Possible intermingling of the roots of different plants. The good news here: plants of different genera (a eucalyptus and pistache, for example) tend not to graft their roots together. But if you are trying to get rid of one willow stump while saving another healthy, desirable willow nearby, well, you've been warned. 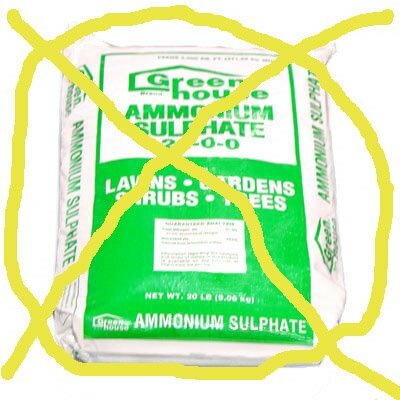 • Use when ambient air temperature is between 60 - 85 degrees F. (plants slow down their growth when it's too hot or too cold; glyphosate works best on actively growing plants). • Do not use if rain is expected, or if foliage is wet. 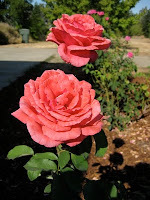 • Do not water treated areas for at least 6 hours after treatment. 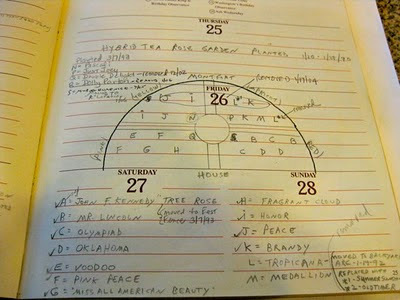 • Allow seven days for the plant to die. In cool, dark or dry climates the effects of treatment may take longer than a week because plant growth rates are slowed and the chemical requires more time to act and the plant to die. • Do not use in windy conditions or on water. Again, your best defense against weeds is to read and follow all label directions when applying any weed killer. Here in California, where we can garden year round throughout much of the state, January and early February is the best time to plant bare root roses, now available at nurseries. Your success with roses depends on several factors, especially location: full sun, as well as decent soil with good drainage. Roses require regular fertilization and irrigation. In our garden, the top performing roses include the white-flowered floribunda/shrub rose, Iceberg; Summer Sunshine, a yellow hybrid tea; Tropicana, an orange-red hybrid tea; Olympiad (medium red hybrid tea), Rio Samba (yellow blend hybrid tea), Jeanne Lajoie (climbing miniature, med. pink) and Mlle Cecile Brunner (light pink polyantha). 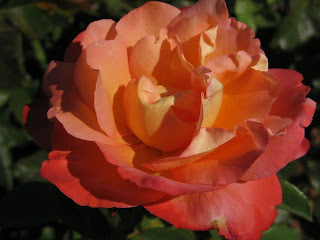 For a more thorough compilation, noted consulting rosarian Baldo Villegas has studied thousands of roses throughout California, and has put together this master list. Although by no means a complete list, here are over 100 roses that do well in the local inland valleys, especially the southern Sacramento and northern San Joaquin valleys. 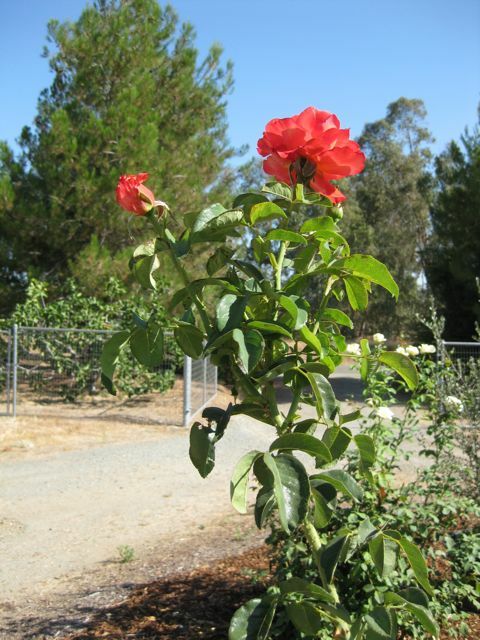 Many of these roses will thrive in foothill regions and parts of the Bay Area as well. 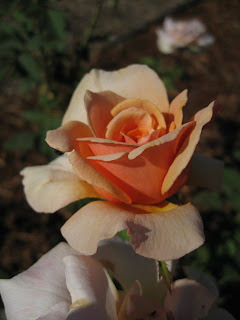 For a more complete guide, Baldo has a page that will link you to your area's rose society. For gardeners in Sacramento and the surrounding area looking for fewer choices, here's a link to a previous post: The 10 Best Roses for Sacramento. Want the above list as a one sheet document? Click Here. 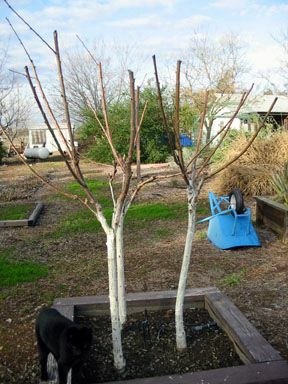 What is a bare root fruit tree? A young fruit or nut-bearing deciduous tree, offered for sale in the winter. “A stick with roots”. Fruits include apples, apricots, apriums, cherries, figs, mulberries, peaches, pears, persimmons, plums, pluots, nectarines and pomegranates. Nut varieties are also available bare root in the winter, including walnuts, almonds, pistachios, filberts, chestnuts and pecans. Vine and bush fruits are also for sale in the winter, including blueberries, grapes and kiwi. Citrus is an evergreen plant, available year round. Shop local. Your local nurseryperson knows your soil and growing conditions, and will carry fruit tree varieties that will do well in your area. 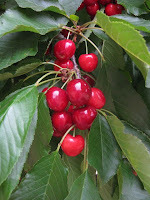 Of those, choose fruit trees that you enjoy! Wondering which ones taste the best? 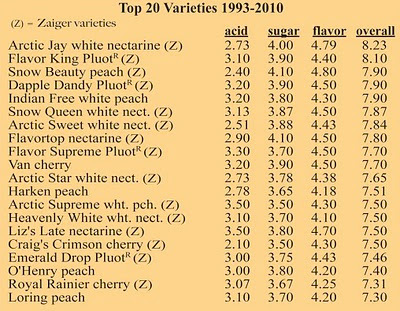 Master fruit tasters have their favorites listed online, at davewilson.com, a wholesale grower of fruit and nut trees. 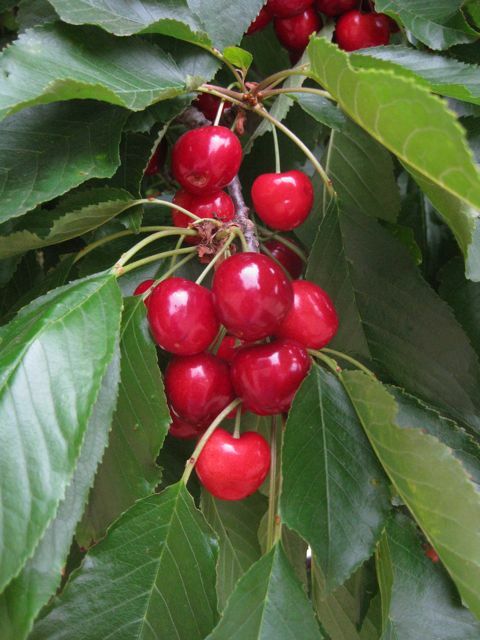 Consider getting several trees that will ripen at different times. Before You Buy, Plan Ahead. 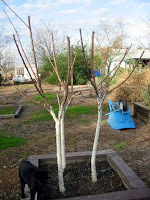 Fruit trees do best in a sunny location with good drainage. They need eight or more hours of sun. Six hours of sun is pushing your luck. 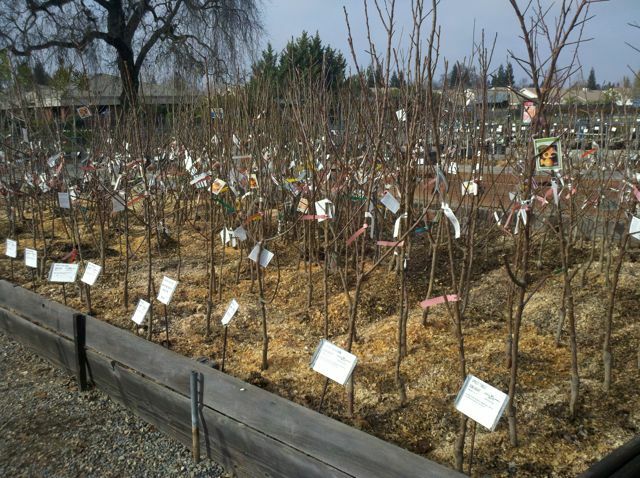 Wet soils are a major cause of fruit tree failure. If that hole you dug doesn’t drain within 24 hours, build a raised bed, at least 4’ x 4’x 12-16” high. Cherries and apricots need the best drainage for success. 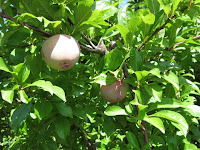 The fruit trees most tolerant of slow-draining soils are apples and pears. Don’t be too concerned about a crooked top. After you plant a three to five foot tall bare root fruit tree, you can cut it off at knee-height. That way, the fruit-bearing branches will be lower, within easy reach. If you don’t let the tree get taller than seven feet, that fruit will ALWAYS be easy to reach. Pay attention to the bud union. This is the spot where the tree variety is attached to the rootstock. It should be straight, not bent. Look at the roots. They should not be brittle, damaged or cracked. • Have tunneling around the bud union (they might be borers). • Oozing, dark colored bark (might be bacterial canker). • Have been at the nursery for more than two years, if they are in containers. If in doubt, ask the nurseryperson. When you get the tree home: Treat it nice, immediately. Don’t let the roots dry out. 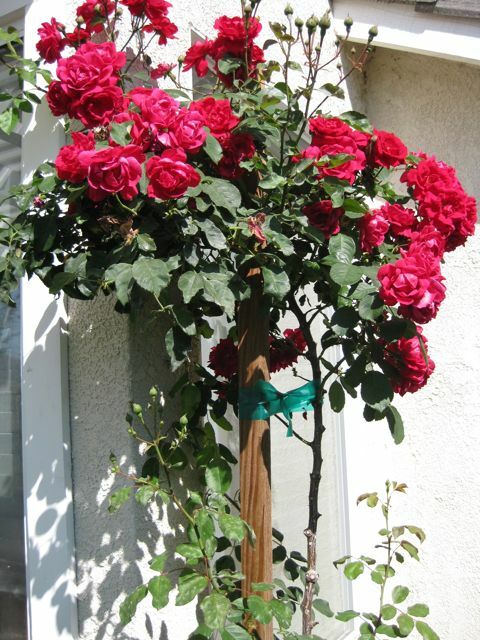 If you are going to plant later that day or the next day, place the tree in a bucket of water or cover with a wet blanket. 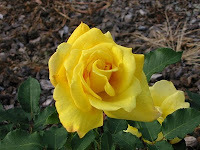 If it is going to be several days before you plant, bury the roots into soil (“heeling in”). This can be in your garden soil, compost, potting soil, or even a pile of wet leaves. Dig a $50 Hole for that $20 Tree. The hole should be wide, not deep. 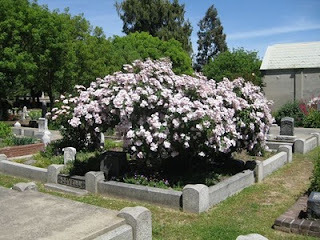 About four feet wide and as deep as the rootstock portion of the tree. 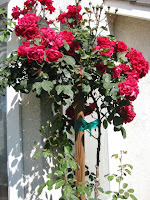 Loosen the six feet of surrounding soil outside the hole to that depth. 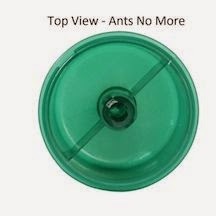 Feeder roots travel outward, not downward. Plant the Tree Correctly. Set the tree on a slight mound in the middle of the hole, and gently coax the roots to face outward. 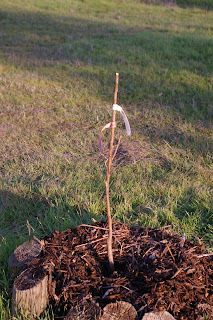 Look for a color change on the tree below the bud union; the tree should be planted no deeper than that. 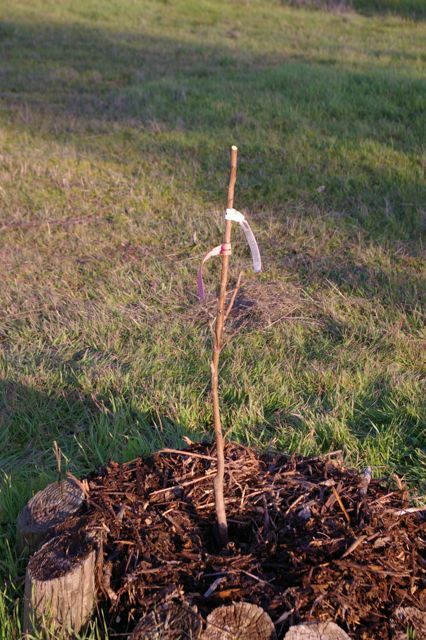 Ideally, plant the tree with that mark about an inch above the existing soil line to allow for settling. Set your shovel handle across the hole to determine that point. Use only the soil that came with the hole. Top With Mulch. 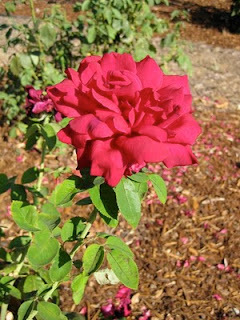 After planting, surround the tree with three or four inches of organic mulch; the mulch should extend out several feet. Mulch feeds the soil, suppresses weeds, cools the soil in the summer and helps maintain even moisture, too. Don’t let mulch touch the trunk, though. That can lead to rot problems. Fertilize? 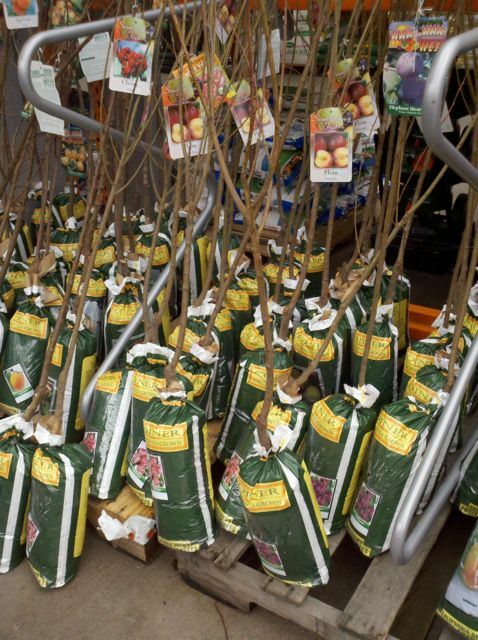 Wait until the tree is actively growing, choosing a fertilizer that lists fruit trees on the label. Whichever fertilizer you use, read and follow label directions. Add Water. Carefully. 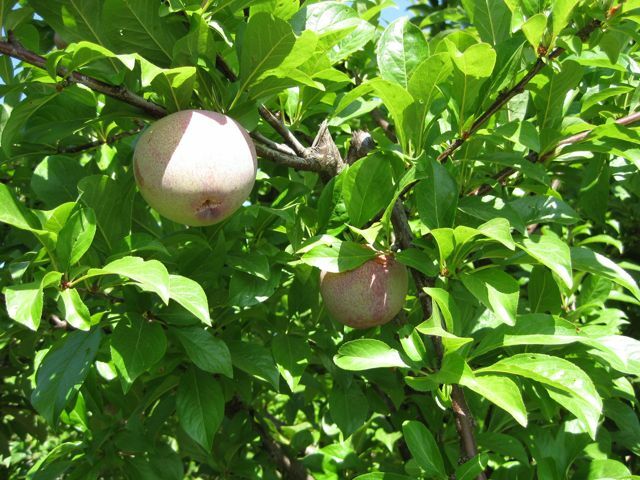 The primary cause of fruit tree failure is poor irrigation: either too much or too little water. 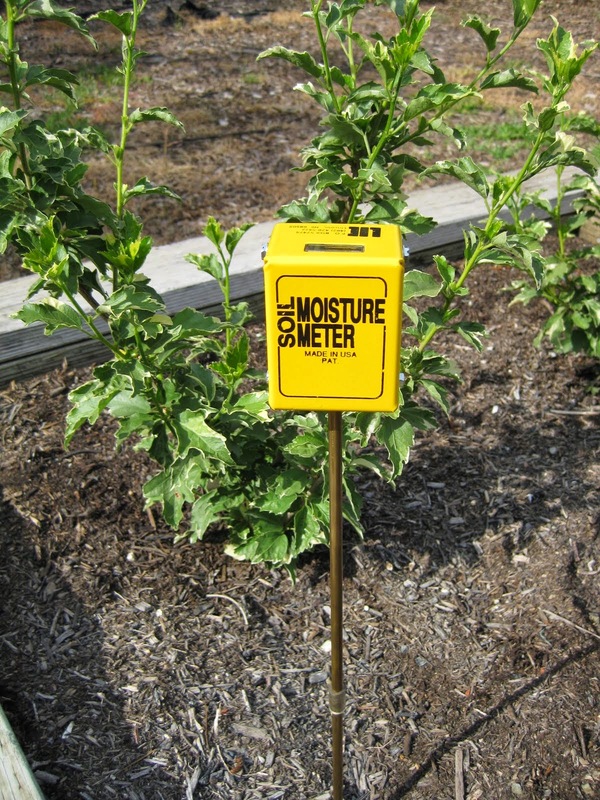 Use a moisture meter or a soil auger to determine how wet or dry the soil is at root level. 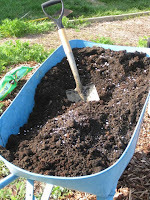 Or, grab a handful of the soil at a depth of 8 to 10 inches to determine how wet the soil is. 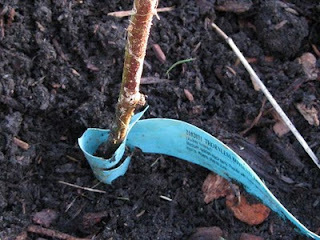 Start doing this when that new fruit tree begins to flower. And, do it before you water. Give the tree some sunburn protection. 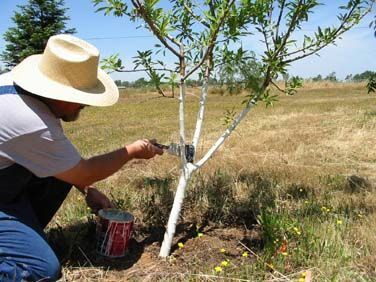 Paint that bare stick with a 50-50 mix of interior white latex paint and water; or, purchase tree whitewash at a nursery. That new tree is very susceptible to sunburn, which can lead to a cracked trunk…an entry point for insect and disease problems. In a few years, with a little bit of care, your kitchen counter will be overflowing with homegrown, healthy fruit.